Welcome to Pinewoodsclub.com, the website of Pinewoods Health and Racquet Club. 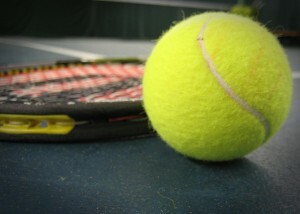 We are conveniently located in Northwestern Connecticut and feature 6 indoor tennis courts. Our facilities also include a tanning salon, a women’s only gym, a fitness area and a pro shop. Pinewoods offers both Adult and Junior Tennis programs, with top-notch instruction from our experienced pros. Our Adult Program includes clinics, round robins, organized leagues, tournaments, season court time, game arranging services, and USTA Team competition. Our Junior Program includes QuickStart Tennis, junior clinics, a weekly round robin, tournaments, and USTA Junior Team Tennis. If you’d like more information, please don’t hesitate to email us at bern@pinewoodsclub.com, or call us at 860-482-9424. Featuring 6 DecoTurf courts, Pinewoods Health and Racquet Club is the premiere location for indoor tennis in Northwestern Connecticut. To book a court or a lesson, call us at (860)-482-9424. Pinewoods Health and Racquet Club has everything you need to reach your fitness goals. Our main fitness area provides various cardio machines, free weights and benches, and nautilus machines. In addition, to our main fitness area, Pinewoods features a Women’s Only Fitness Room, loaded with equipment for our female clients. And if you need that extra push, ask about a workout with our Personal Trainer, Diane Honig. Golden Glow Tanning at Pinewoods Health and Racquet Club has 1 Tanning Bed and 1 Stand-Up. Cash or personal check payments only. For more information, send an email to enizete@pinewoodsclub.com. Please call (860)-482-9424 to schedule an appointment.